Did You Win Season Three Of Welsh Crime Drama HINTERLAND? The third season of Welsh detective drama Hinterland comes to DVD May 29th and we've got three box-sets of the English language version to give away to UK readers. 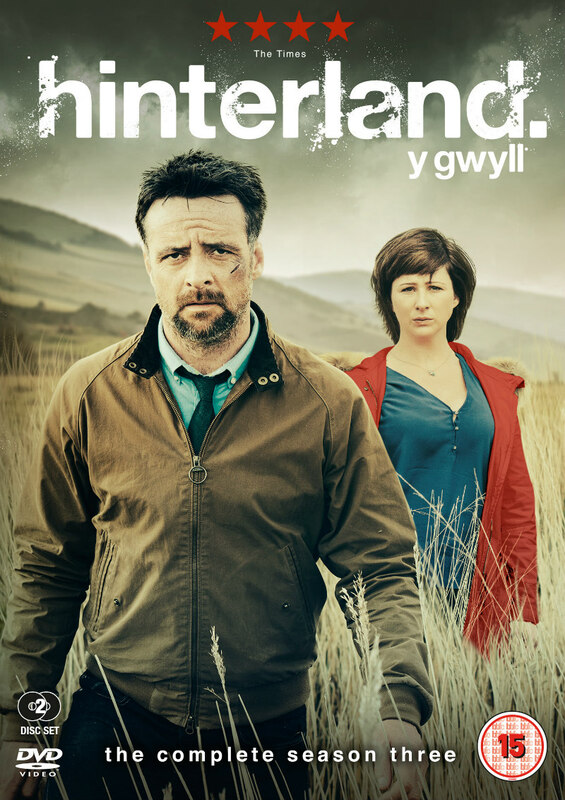 Nordic Noir & Beyond is pleased to announce the DVD Box Set release of the third season and the season Trilogy DVD Box Set release of the gripping Welsh detective drama Hinterland on Monday 29th May 2017. The critically acclaimed series is available in both English and Welsh versions. The first of four episodes of Season 3 aired at 9pm on BBC Four on Saturday 6th May, and concludes on Saturday 27th May. Hinterland Season 3 finds DCI Tom Mathias (Richard Harrington, Poldark) seeking to heal physical as well as psychological scars. The hideaway he had found himself on the wild shores of Ceredigion has been destroyed and he has moved to the seaside town of Aberystwyth. Mathias is thrown back into an old case that has intrigued him since his early days working in Aberystwyth – a case that threatens to drive an irreconcilable rift through the team. While Mathias delves into the past, DS Sian Owens (Hannah Daniel) has been tasked with discovering who burnt down Mathias' home. As with the previous two seasons, the sophisticated soundtrack for Hinterland Season 3 was composed by John Hardy. The score provides a Nordic Noir feel of the Welsh detective drama.